With just two weeks left until True Detective Season 2 premieres June 21 on HBO, the cable network has released two trailers with all new footage. These videos offer more insight into the four main characters, Ray Velcoro (Colin Farrell), Frank Semyon (Vince Vaughn), Ani Bezzerides (Rachel McAdams) and Paul Woodrugh (Taylor Kitsch). As he did with the first season, series creator Nic Pizzolatto wrote every episode in this new season of True Detective. Rachel McAdams also stars as Ani Bezzerides, a Ventura County Sheriff's detective whose uncompromising ethics put her at odds with others and the system she serves, while Taylor Kitsch stars as Paul Woodrugh, a war veteran and motorcycle officer for the California Highway Patrol, running from a difficult past and the sudden glare of a scandal that never happened. Justin Lin directed the first two episodes, with Danish filmmaker Janus Metz Pedersen announced to helm episode 3. 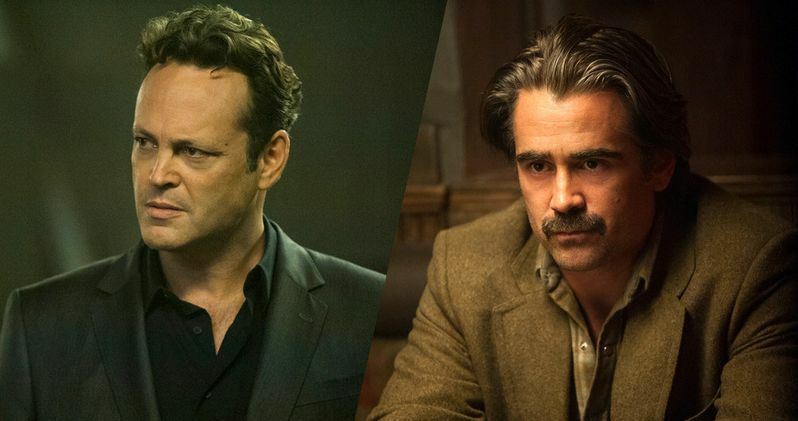 Take a look at the new trailers below before True Detective Season 2 debuts June 21.